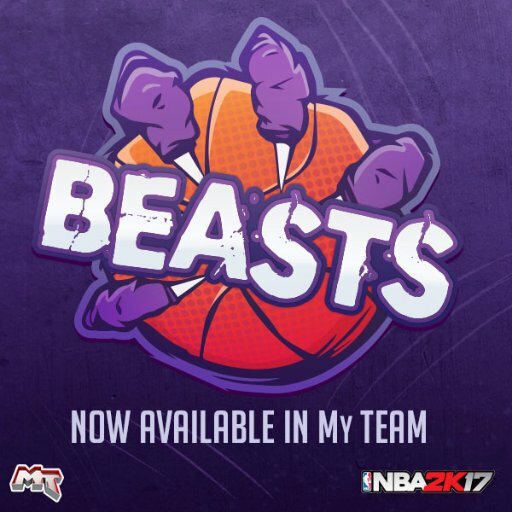 NBA 2K17 MyTEAM mode added new pack again! The new collection called Beasts Pack which contains highly anticipated Beasts players who capable of taking over games by sheer force of will and skill. To reveal the set, NBA 2K17 MyTEAM ask for 1000 Retweets in the official twitter page. 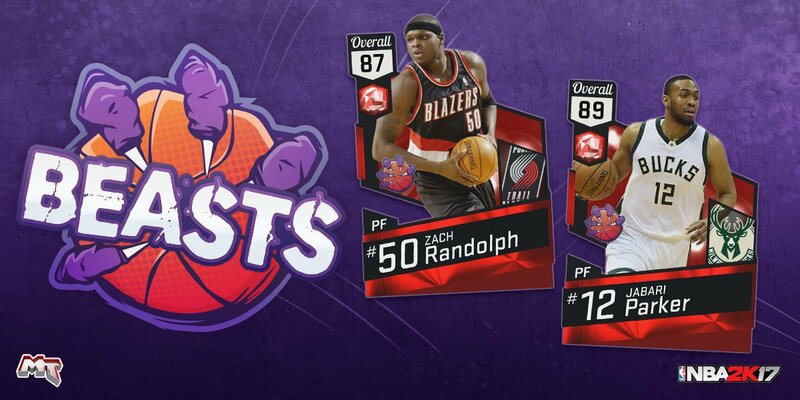 We have Ruby Zach Randolph with a 87 overall rating and Jabari Parker with 89 rating in the pack. 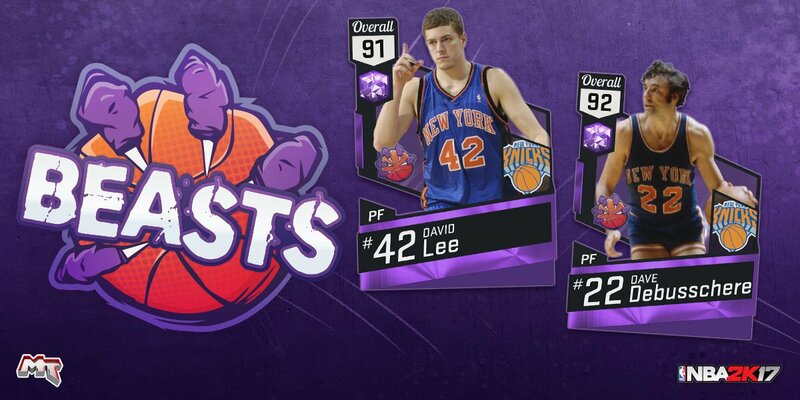 Players can also pull Amethyst David Lee who has a 91 rating and Dave Debusschere who has a high 92 rating in the Beasts Theme Pack. Surprisingly, there are seven Diamond cards in the set which consists of 98 Overall Hakeem Olajuwon, 95 Overall Chris Webber, 96 Overall Karl-Anthony Towns, 96 Overall George Gervin, 96 Overall Julius Erving, 97 Overall Kevin Garnett and 97 Overall Cylde Drexler. As one of the greatest centers of all time, Olajuwon is a Beast in the post who do well in fantastic defense, rebounding, shot-blocking. Towns can do it all, including knock down the three-pointer to help your team stretch the floor. Plus, Parker will be a good option for users just getting their team up to par. 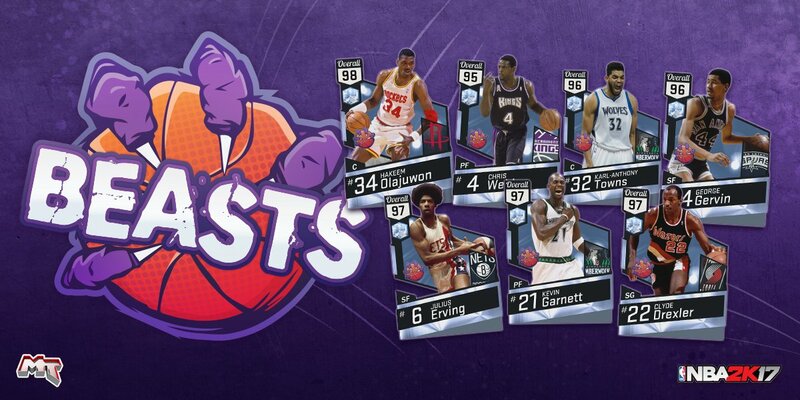 After collecting these Beasts players, you will unlock Diamond Larry Bird as the collection reward. 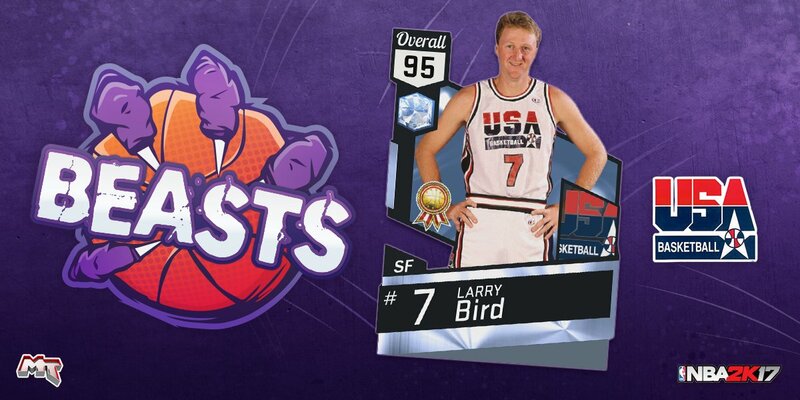 As one of the greatest players of all time, Bird is a threat in the right hands in NBA 2K17 contests. Want more details for NBA 2K17 MyTEAM Pack? Check back to U4NBA for more 2K17 news and tips that will help you improve your game!